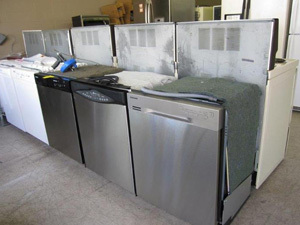 Absolute Appliance Repair provides rental repair and maintenance of appliances for property management. If you’re a landlord who owns one or multiple apartment properties, we will work with you to repair or replace appliances as needed for tenant’s individual suites or laundry rooms. 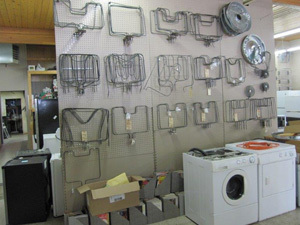 We have refrigerators, stoves, ovens, dishwashers, washers, dryers, and window air conditioning units. Our experienced, professional team will work with you to complete successful sales and orders, helping you find the best appliances for your home and budget. Absolute Appliance Repair can fix any appliance, including refrigerators, stoves, ovens, microwaves, washers, dryers, and air conditioning units. Whether they are leaking, malfunctioning, not heating or cooling properly, or not working at all, we have the tools, parts, and experience to get your appliance up and running again, saving you money over purchasing new appliance and extending the life of them. If there are any maintenance services you need performed, we offer those as well, including cleaning dishwashers, stoves, and ovens, and removing lint build-up from the dryer vent. We can also clean underneath refrigerators and freezers or refill the refrigerant in your air conditioning unit. Our professional team installs every product we sell as soon as your order arrives at our location. 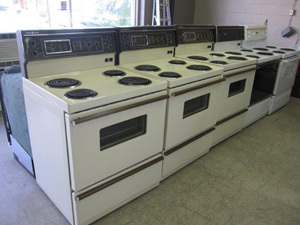 We will also remove your old appliance if applicable. We will treat your home as our own, testing every unit we install to ensure it works properly. Our sales team can come to you, whether it’s delivery and installation or in-home sales to help you choose the best products. Our service is guaranteed, meaning we don’t rest until you’re happy. If there is a problem with your appliance, we will fix it right away and we also offer extended warranties.